When a driver receives a Notice of Intent to Prohibit, they are told that the reason they are getting the prohibition is for having an unsatisfactory driving record. What this translates to in real terms, is that the driver is getting a driving prohibition for having too many points. The Notice of Intent to Prohibit letter invites the driver to make further submissions and explain why the prohibition should not be imposed, but does not explain what an adjudicator will take into consideration in assessing that. This in itself is problematic. In order for a review scheme to be constitutionally valid, there needs to be a real right of review. But when the review procedure is loose and undefined, as it is in the context of Notice of Intent to Prohibit letters, there is no real right of review. What are the adjudicators actually going to consider, and what standard of evidence must be provided to meet those considerations? In my experience, the adjudicators must be satisfied beyond a reasonable doubt that there is no alternative to driving for a person. And this includes ruling out the potential of options that do not even exist. Recently, I argued a case in BC Supreme Court where my client was faulted for not explaining why she could not rely on Uber or Lyft to give her rides. This is notwithstanding the well-known fact that Uber and Lyft are not permissible or lawful in British Columbia. Nevertheless, her submissions were rejected for not addressing this point. And on appeal of the decision, the Court found no problems with the adjudicator reasoning in that way. Economic hardship is something that adjudicators will consider, but unless you provide every financial document from your life to establish your income, the cost to you of serving a prohibition, and each of your household expenses, the adjudicator may fault you for not providing a sufficient case to show your economic hardship outweighs the need for a prohibition. This in itself is ironic, as the courts have repeatedly ruled that an adjudicator’s decision cannot be found invalid on the basis of the fact that economic hardship alone will affect a person. While the adjudicator is supposed to consider “whether your need to drive outweighs the public interest in prohibiting you on the basis of your unsatisfactory driving record” the reality is that economic hardship is not considered part of a person’s need to drive. This is divorced from reality. Of course economic hardship plays a role in the need to drive. Many people rely on their vehicles to get to and from work, or to perform their jobs. Economic hardship affects whether a person can pay their mortgage, feed their children, or continue to rent their apartment. Is the prospect of losing one’s home not more important than a prohibition for driving for having two cell phone tickets? According to the position taken by the Superintendent of Motor Vehicles on appeals of these matters, it is not. And what about employment anyway? While drivers are permitted to put in evidence of how their jobs will be affected by a driving prohibition, this too must be supported by outside documentation that may be impossible or difficult to obtain. It’s not as simple as stating “I need my license to work as a truck driver.” No, the obvious is obviously not good enough. Instead, the Superintendent requires a person to explain how their driving prohibition cannot be accommodated and provide support from their employer. But that in itself can be difficult to obtain. Even disclosing the prospect of a driving prohibition to one’s employer may put them in jeopardy of being fired. And yet the Superintendent does not seem to care about this fact. Again, none of this is disclosed to drivers. Without a magical crystal ball to see into the minds of adjudicators, a person could not possibly know the high standard they have to meet. Drivers are simply told that they can “provide reasons why the prohibition should not be imposed” — a vague and uninformative bit of information. Another flaw in this process is the absence of fair warning given to drivers about how this process unfolds. Not only do driver training and licensing examinations not include a component about this process, thereby allowing the Superintendent to seemingly act in secret, but the mechanism by which warnings and notice is given is flawed. There is a system in the so-called “Driver Improvement Program” whereby the Notice of Intent is triggered. Oftentimes, especially in cases of Class 5 drivers, the Notice of Intent to Prohibit is preceded by a warning letter, or a probation letter. However, in my experience having handled thousands of these cases, these warnings letters are often not sent to the driver at all. Rather, they are automatically generated in ICBC’s system, and placed on the driver file. No letter is generated in physical form, which is then sent to a driver. So drivers are not warned about their behaviour and told that if they get another violation ticket they may face a suspension. However, despite the fact that ICBC does not always mail out the warning letters, their system treats them as mailed and drivers are scrutinized for not changing their behaviour after a warning they never received. There is also another aspect in which drivers are not given fair warning. When a Notice of Intent to Prohibit is generated in ICBC’s computer system, the Notice is printed and then placed in a stack to be mailed to drivers. From my experience, I know that these letters are often mailed in batches, as it appears that clients contact us in waves. But they are not printed in batches. This results in some individuals not receiving the letter for sometimes up to two weeks after it was printed. Despite this, the Notice of Intent to Prohibit letter gives a driver twenty one days from the date on the letter to make submissions. There appears to be little to no oversight as to when these letters are sent out in relation to when they are printed, leaving some drivers in a position of significant disadvantage. Given the breadth of information required to put together a proper submission, and to persuade an adjudicator not to take your license, it would only seem fair that the full twenty one days be provided. And yet the Superintendent and ICBC have taken no steps to correct this unfair manner of sending out the letters. It is also important to note that there is no extension of the twenty one day period. This means that if a person is on vacation and does not receive the letter, they are liable to lose their license because they did not make their submissions in the twenty one day period. Again, this is significantly unfair given the manner in which these letters are generated and sent out by ICBC. Although the BC Court of Appeal found that there was no fettering of discretion when an adjudicator followed policy in giving a driving prohibition to an individual who had a poor driver’s abstract, the reality is that the system is largely dictated by policy. In determining whether the prohibition is going to be issued, the decision is based on the Superintendent’s own policies about issuing these notices of intent to prohibit. The adjudicators are required to consider the driver’s abstract in coming to the decision about whether or not to impose a prohibition, and although the policy guidelines state that certain prohibitions may be reduced or revoked for various reasons, there is little room for an adjudicator to exercise discretion in the application of the policy. The reality is that the prohibition will rarely be terminated, absent special or unusual circumstances. And this is because the adjudicators tend to elevate the evidence of a driving record above all other considerations. This is borne out in the experience of one driver, who successfully appealed a driving prohibition for points, on the basis that the Superintendent did not consider the underlying circumstances of the offence and whether they may have given rise to a defence or justification for the violation. But in making the decision to issue the Notice of Intent to Prohibit, the Superintendent is not obligated to consider those factors. Rather, it is for the driver to raise them, all the while not being told that these could be relevant issues. The troubling aspect of this is that there is no consideration of the fact that the legislation grants broad discretion to the Superintendent to issue a Notice of Intent to prohibit letter. That broad discretion is significantly narrowed by the application of the Superintendent’s policies. If you are unsuccessful in disputing a Notice of Intent to Prohibit to the Superintendent of Motor Vehicles, there is an opportunity to appeal the decision. This appeal is an illusory and frustrating process in and of itself. The appeal process is constrained by Section 94 of the Motor Vehicle Act. Section 94 permits a Court sitting on review only two options: it can terminate the prohibition, or it can uphold the prohibition. There is no mechanism by which the prohibition can be reduced, or remitted for reconsideration. Legally, this is problematic. Because the appeals of the Superintendent’s decision are not, in fact, appeals but instead are judicial reviews, it would seem that the Motor Vehicle Act has ousted the jurisdiction of the Judicial Review Procedure Act and the broad range of remedies a court sitting on review can grant. Constitutionally, a tribunal cannot insulate itself from review, and yet that is exactly what is done by Section 94. In administrative law, remedies available on judicial review can inform the concept of deference and the context of the judicial review. This means that the absence of a remedy shortening the prohibition, or remitting the matter for reconsideration constrains the court sitting on review. Even if the length of a prohibition is clearly excessive, or the circumstances of an individual so compelling that a prohibition decision was not properly rendered, the Court can really only grant the remedy of quashing the prohibition in circumstances where the decision to prohibit itself was unreasonable. This leads to a wholly unsatisfactory process on appeal, or judicial review. The process is one that removes consideration of whether a person’s need to drive outweighs the public interest in prohibiting them and instead limits the court’s inquiry into whether the decision to prohibit in the first instance was reasonable. By framing it this way, and in the manner the case law has developed, the review process before the Superintendent itself becomes watered down. Why would adjudicators be encouraged to exercise their discretion to terminate a prohibition, in the face of compelling circumstances, or to reduce it significantly, if the court will confirm their decision to uphold it if a judicial review is sought? The purpose of judicial review is for the court to serve a supervisory function, ensuring that the mechanism employed by a tribunal is fair and reasonable and correct. But if a court’s supervisory role is hamstringed by the limitation on judicial oversight, the process itself is unfair. 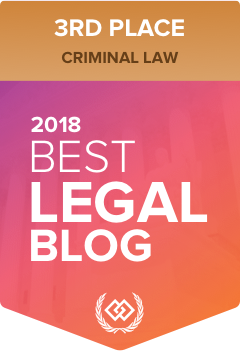 This blog post should not be read as a suggestion that it is not worth it to dispute a notice of intent to prohibit. Rather, the information here is provided to assist people in understanding the process and its internet flaws. On the one hand, a post like this may encourage the government to use better practices and to improve the process. On the other hand, it may help people gather the best evidence and information necessary to succeed in their cases. Or, it may help people to understand the importance of having a lawyer to assist with the Notice of Intent to Prohibit review, so that they may have the best chance of success and create the best case in the event of an appeal.